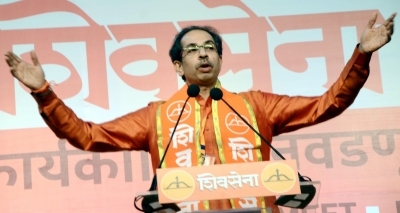 Mumbai, Nov 22 (IANS) Around 3,000 Shiv Sena activists on Thursday left for Ayodhya in two special trains from Thane and Nashik to join party President Uddhav Thackeray, an official said. As announced on his Dassehra rally, Thackeray will pay a two-day visit to Ayodhya on Saturday-Sunday and take a 'darshan' of 'Ram Lalla' there. The Sena activists, sporting saffron banners, bands and posters boarded the trains raising slogans for Lord Ram Temple and the party leadership. Though Sena officials remain tight-lipped, Thackeray will take part in a 'maha-aarti' and is likely to hold a meeting with Ram Janmabhoomi Nyas President, Mahant Nritya Gopal Das during his two-day sojourn. 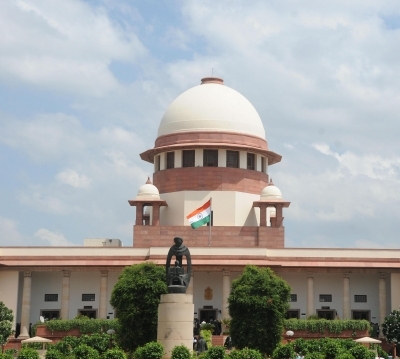 The Sena, which announced earlier this year that it will contest all future elections independently, has been sharply critical of the BJP and Prime Minister Modi for "failure" to construct the Ram Temple though it has been in power for over four-and-a-half years now. On several occasion, Thackeray has demanded Modi declare the Ram Temple promise was a 'jumla' to the Hindus and his party would take the lead to build it, claiming its priority was "temple before government". Party legislators, members of parliament and municipal corporators and other leaders shall also join Thackeray's Ayodhya pilgrimage. Besides Mumbai, several thousand of party activists are expected to join Thackeray from rest of Maharashtra, Gujarat, and other parts of India.